Cheshire Cat Photo Blog (… said the Cat: 'we're all mad here….') 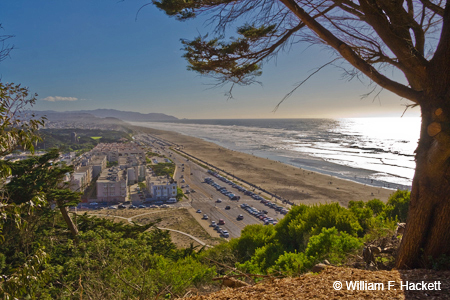 » Blog Archive » Search called off for teens swept to sea at Ocean Beach! The teens, both 17 years old, were presumed drowned after rescue teams from the U.S. Coast Guard and San Francisco Fire Department failed to find them in an extensive search of the Ocean Beach area that included air, land and sea crews for almost five hours, officials said. Three boys, two of them 17-year-olds and one 18-year-old, made it back to shore and were taken to UCSF Hospital in stable condition. The search for the other two, described by their friends as weak swimmers, was called off at 9 p.m. after investigating agencies told the boys’ families they had probably drowned. No recovery effort will continue Sunday, fire officials said. Coast Guard officials estimated the boys’ bodies may have been carried up to 15 miles out to sea in the time since they disappeared, Baxter said. The drownings happened just off the beach near Lincoln Way, south of the Murphy Windmill and across from Beach Chalet Brewery and Restaurant, said Coast Guard Lt. Marcia Medina. The Coast Guard employed two 47-foot motorized lifeboats and a helicopter in the search. San Francisco Fire Department air- and water-rescue teams as well as people to search the shoreline. Parks officials searched on land. "Search called off for teens swept to sea at Ocean Beach!" was written on April 17th, 2016 by Bill, and filed under California,Uncategorized. Previous: Iran sentences billionaire, Babak Zanjani, and two of his associates, to death!